Welcome to Milton Pediatric Dentistry! We have proudly been serving the children and teenagers of Milton since 2010! As respected specialists in children’s dentistry we have been serving patients from all over the GTA and southwestern Ontario, receiving referrals from over 300 allied health care professionals. Thanks for visiting our website, we hope it serves as a useful resource for you in caring for your child’s oral health care needs! It’s full of tips and education, and will give you some insight into who we are and why we love working with parents and children! As a husband and wife pediatric dental team, and parents ourselves, we strive to provide a caring and friendly, fun, family-oriented environment every step of the way. Since graduating dental school from Western University in 2005 we have dedicated ourselves to achieving the highest qualifications in the specialty practice of Pediatric Dentistry. This includes status as Fellows of the Royal College of Dentists of Canada and Diplomates of the American Board of Pediatric Dentistry. We practice to the most current evidence based guidelines for prevention and disease risk management. We have the patience, technical skills, and experience to provide the highest standards in oral health care, including diagnosis, treatment, and education. Our communication with parents is key to ensuring that our families’ individual needs and wishes are met. We pride ourselves in communicating with parents the oral health findings their children have and provide all possible treatment options. 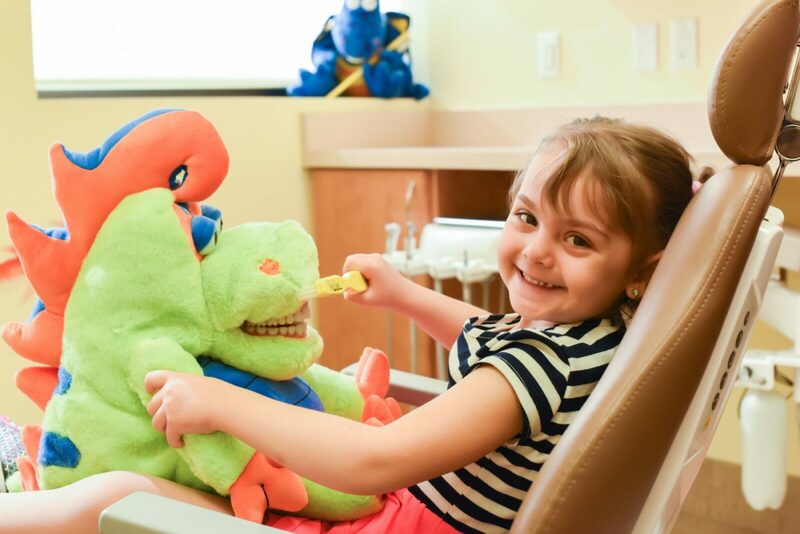 Our goal is for your child to feel comfortable, to have fun, and most importantly, to develop trust and confidence within the dental office. This will ensure that they maintain positive attitudes towards their oral health into adulthood. We ensure that every parent feels comfortable knowing that their questions have been answered and they leave knowing they have come to a place where they and their child will be treated with kindness and where they will receive the highest quality dental care. Whether it is while doing treatment or just an exam we respect a child’s anxiety and individual personality. 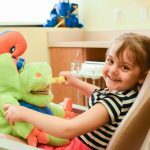 Our goal is to ensure that every child has a pleasant dental experience every step of the way so that they will have a positive outlook towards dental health and treatment into adulthood. We use our expertise and training to alleviate dental anxiety and our entire team strives very hard to ensure that every child and family have a positive experience. We guide children through treatment in a step by step manner so they are not surprised by anything during treatment such as loud noises and we aim to provide as comfortable an experience as possible, where pain and discomfort are minimized at every step.